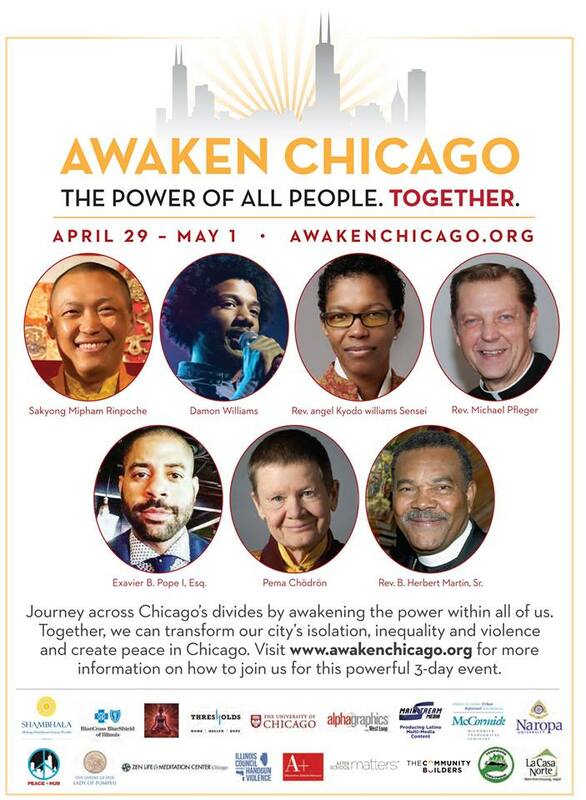 ASN is a sponsor of Awaken Chicago conference which will take place Friday, April 29- Sunday, May 1st at the University of Chicago. Awaken Chicago will provide opportunities for you and your students to connect, to learn, and to act. Connect: Meet people from all over city and beyond and create genuine connections across interpersonal and societal divisions and differences. Learn: Increase your understanding of the causes and effects of trauma and prejudice. Gain healing and wellness tools. Act: Find within yourself bravery, courage, and self-respect. Commit to changing the conditions causing today’s actions. Through breakout sessions, participants will learn about how inner peace and social action work together to create community. Drawing on ancient traditions and the latest research, participants will hear from top keynote speakers how to unlock the power of our own sense of worth.